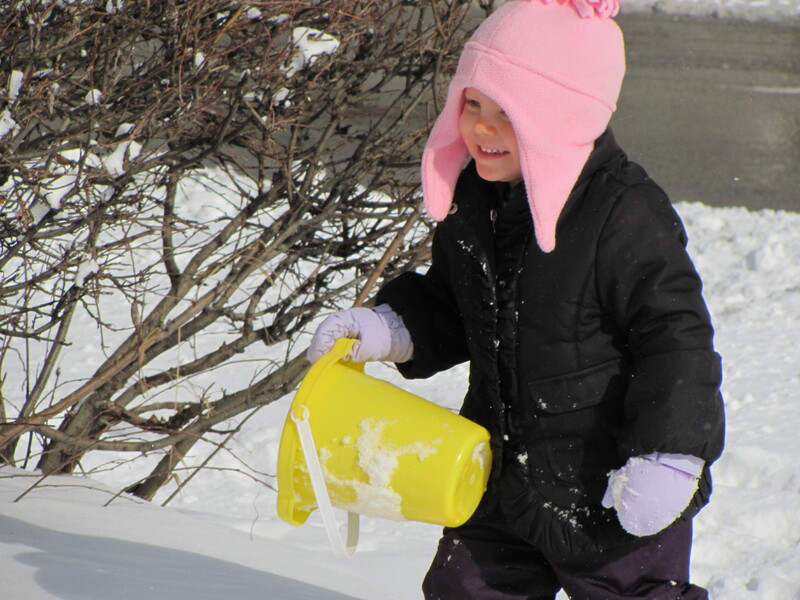 I have spring fever … or maybe it’s just cabin fever, but either way I am longing for sunshine and warm breezes and days spent playing outside. I guess that’s why Ava and I decided to do something different for lunch the other day. We had a picnic. 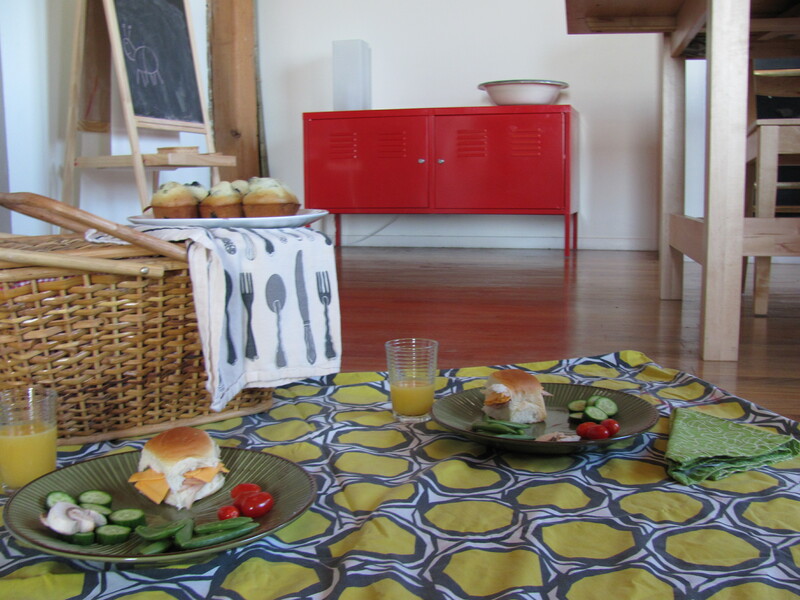 A sheet, little sandwiches, veggies, and homemade blueberry muffins brought a little bit of sunshine to our winter routine. Ava thought it was pretty cool to not have to sit at the table. 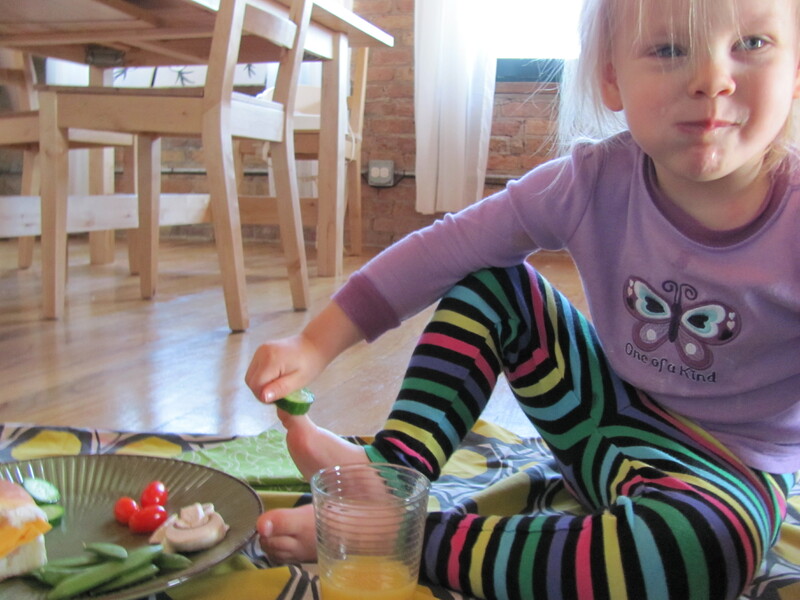 She cleaned her plate and then danced around the room singing, “we’re on a picnic … la la la la la”. We might have to make this a regular thing.